The number one bestselling author and former aide to ex-President Goodluck Ebele Jonathan, Pastor Reno Omokri, has reacted to the recent blunders of President Muhammadu Buhari at almost all the APC’s rallies for his re-election. Pastor Omokri however blamed the leaders of APC including those by the president for putting the president to international ridicule. Recall that some months ago, the social media became awash with the rumour that the person occupying the Presidential seat at the State House, Abuja, is not the President Buhari who was voted into power in 2015. Seriously the members of the cabal ruling and detecting what happens in this country are very wicked. How can they be insisting that PMB MUST return as president after all these public embarrassment to the nation couple with his declining health, he added. 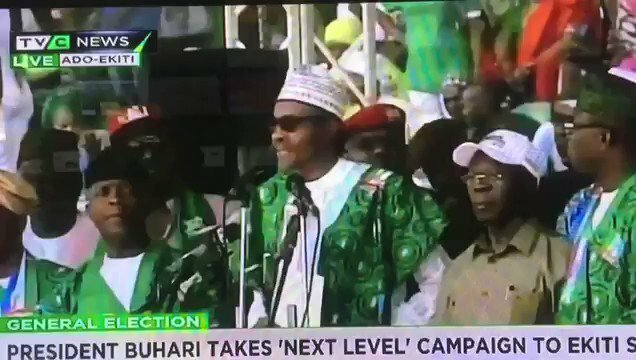 “We are very conscious of the promise we made when we are coming in in 2005”- @MBuhari He DOES NOT know when he became President. He DOES NOT know he is the Presidential (or governotorial) candidate. He can’t read his note. RETWEET if you agree PMB belongs in a RETIREMENT HOME.